Hacking Sites Using User Agents always feels great. Its like Easter Egg! Cheers! You name it you get it. 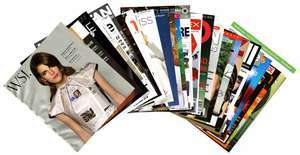 All latest magazines for free and online. 3) Navigate to http://zinio.com/iphone and click on the magazine you like. Njoy!